Here's where to watch every episode of Heartbeat season 2. Mouseover or tap an episode to see where to stream it. Click or tap the play icon to stream it on the best available service. Secrets Apr 18, 1993 A market traders van is hijacked and stolen on the moors. Nick starts to investigate and suspects Lord Ashfordly's son, who he later arrests for drink driving. Kate unintentionally starts a chicken pox epidemic when she starts a mother and baby group. Nick spots Claude wearing a brand new pair of boots several sizes too small which turns out to be part of market traders stolen stock. However, he doesn't think Claude is involved, but Blaketon disagrees. A local girl is pregnant and confides in Kate as to whom the father is. Nick later identifies the hijacker as Lord Ashfordly's new chauffeur, who also turns out to be the father of the local girl's baby. End of the Line Apr 25, 1993 An elderly widower, a Mr. Miller from London comes and stays in the village and stays in a boarding house opposite the police house run by Mrs. ?. Milner however is not a well man and has to visit Kate at the surgery. Meanwhile Claude has been asked to do a barn clearance, and Nick buys the remains of an old MG off him for only £25. Claude dramatically underestimates its real value and is later annoyed by this, and complains to Blaketon. Milner it seems has an old grudge against Nick and he wants his revenge. It turns out that when Nick was down in the Met he arrested Milner's granddaughter after she stabbed her husband in self defence. Milner now wants to hurt Nick, the way Nick hurt him. He takes Kate as a hostage and is armed with a pistol. Kate manages to talk Milner round because she has to rush off to give a young girl a vital injection. Bang to Rights May 23, 1993 Rosie, the wife of local villain, Terry Tinniswood takes an overdose and Nick and Kate are left minding her children. Once she's recovered, Rosie tells Nick her husband is in jail for a crime he didn't commit. 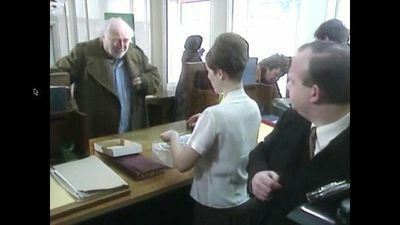 Nick finds evidence to support Rosie's claims that her husband was fitted up, possibly by Nick's predecessor in Aidensfield, Rowley Carsons who suddenly retired from the force. Blaketon warns Nick and tells him to leave it, insisting Carsons retired because he had Cancer. Nick who now believes that there was some sort of cover up persists with his investigation. Carsons turns up and confesses to fitting Tinniswood up by planting evidence in his truck. Meanwhile Phil is to marry his girlfriend who says she's pregnant. but he later finds that she has been seeing her ex-boyfriend who turns out to be the man who beat up Phil at his stag night. A Talent for Deception May 30, 1993 Nick and Kate fall out when an old boyfriend of hers turns up. Soon after his arrival he becomes the prime suspect in a hit-and-run incident and Nick is forced to tell him not to leave the area while it's investigated. Meanwhile a local bank informs the police of a woman acting suspiciously around the bank. Nick and Phil go to investigate, only to discover the woman is in fact the famous crime writer, Amanda Young doing research for her next novel. Meanwhile Phil, on behalf of his football team organizes a talent contest where Greengrass is running a book on who will win. The hit-and-run incident is then revealed to be down to one of Phil's rivals on the football field. And Claude sells some moor land to the MoD and treats himself to a big and flashy pink Chrysler Imperial car! Baby Blues Jun 6, 1993 Kate is treating a woman who is driven to despair by her inability to conceive. The woman later has a row with her husband and storms off. A young couple called The Doubleday's baby then goes missing and the mother suspects her mother-in-law of the kidnapping and a manhunt is launched for the snatched baby. However Kate realises that her patient is probably responsible for taking the baby. The baby is eventually returned by some hippies who have moved into the area. Meanwhile Greengrass buys a racehorse and starts training it up and down Aidensfield's main street to the annoyance of Blaketon who tries to think of an offence to be able stop him, but can't! Wall of Silence Jun 13, 1993 Lord Ashfordly's winter pheasant shoot is seriously disrupted when the entire contents of his game larder are stolen. There is an out break of petty thefts on Nick's patch and when he investigates, his enquiries make him believe that an incestuous relationship is the reason behind the thefts. Susan Rawlings, a teenage daughter of Lord Ashfordly's game keeper, is pregnant and steals money from Greengrass to pay for an illegal abortion. Unaware of this, her brother Chris stole the pheasants in order to raise cash for the same purpose. Susan has the abortion, but ends up in hospital. When Kate and Ferrenby find out, they go to see the woman responsible for doing it and warn her of the dangers involved. Chris it turns out is the father of his sister's unborn child. Missing Jun 20, 1993 The fair arrives in Aidensfield to the annoyance of local caravan site owner, Edna Plummer. It turns out that her caravan site is used as a convenient meeting place by her criminal brother. He is about to receive some stolen works of art from amateur smuggler, Norman Currie, who is on his way back home from a trip to Holland with his family. Currie's son takes one of the paintings and swaps it for free rides at the fair. Workers at the fair sell the painting to Greengrass who tries to sell it to Ferrenby who realises its true value and tells Nick. Meanwhile two 5 year olds go missing but return unharmed. Kate discovers the children had a mysterious friend, who turns out to be a local man whose wife and child were recently killed in an accident.